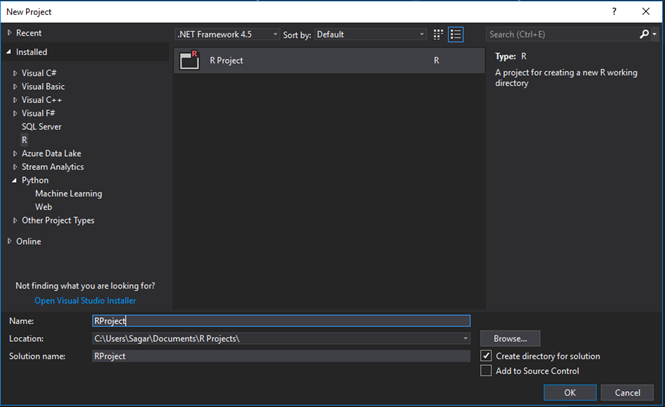 ← Data Science Training in Mumbai : – Reading XML files in R Programming using Visual Studio. Data Science Training in Mumbai : – Using Poisson Regression with R Programming in Visual Studio. Poisson regression in statistics is a generalized linear model which forms of regression analysis used to model count data and contingency tables. The response variable Y being a Poisson distribution is assumed by Poisson regression hence assumes the logarithm of its expected value can be modelled by a general linear combination with unknown parameters. The Poisson regression model which may sometimes also be known as a log-linear model and specially when it is used to model contingency tables. 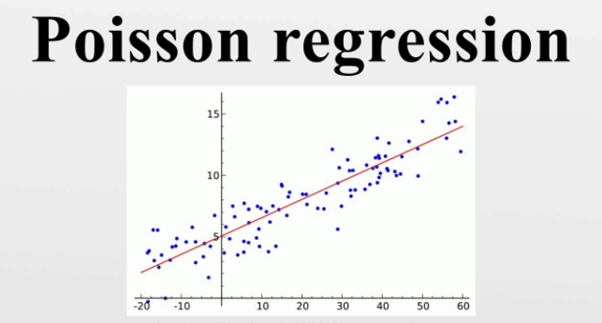 The Poisson Regression in mathematics involves regression models in which the response variable is in the form of counts but not fractional numbers. For a simple example we can count the number of births or number of wins in a cricket or any other game series. log(y) = a + b1x1 + b2x2 + bnxn…..
y :It is the response variable. a ,b :They are the numeric coefficients. x :It is the predictor variable. 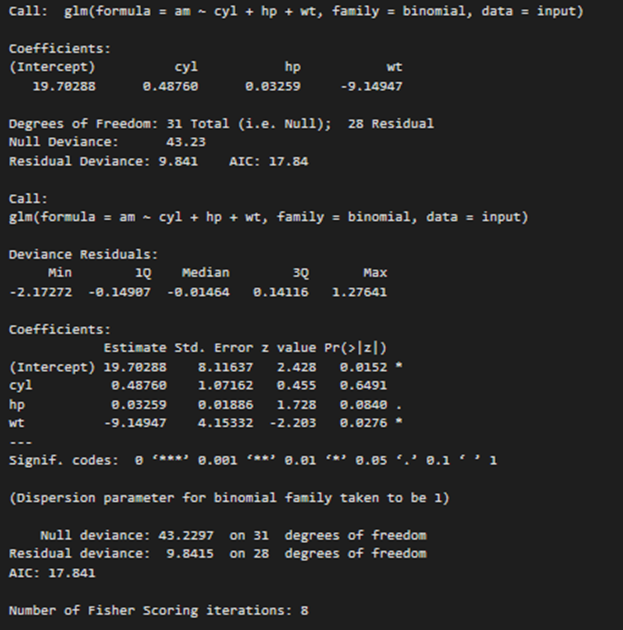 The Poisson regression model is created using the glm() function. The p-value in the above output in the last column should be less than 0.05 to have any impact on the predictor variable of the response variable. 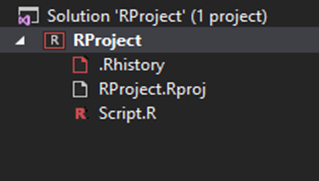 This entry was posted in Class Room Training and tagged Data science training mumbai, Data scientist training mumbai, Poisson Regression, Python Program, R programming, Visual Studio. Bookmark the permalink.